Google may have one of the most valuable brands in the world, but that hasn’t meant that it’s acted like one. Unlike other brands with global recognition, Google has never really engaged in much traditional advertising. And for good reason: it really hasn’t had to. After all, Google built its reputation with consumers in an almost grassroots fashion. As a search upstart, it found a way to beat larger, entrenched players by offering a more compelling search experience. And with the launch of AdWords, it turned its massive audience into a massive cash cow. But Google isn’t an upstart anymore and as a mature company, Google is starting to act more like a traditional brand than an upstart. That menas it’s engaging in more traditional advertising. The type it has criticized in the past. This weekend, this was on display in the most visible way possible as Google purchased an ad on television’s most prominent advertising time slot: the Super Bowl. Google’s ad, which has been described as everything from forgettable and boring to cute and tear-worthy, wasn’t actually produced with the Super Bowl in mind. Dubbed “Parisian Love“, the ad has been on YouTube for several months. Google simply decided to “share it with a wider audience“. Parisian Love offers viewers a short story: man goes to France to study abroad, falls in love with a French woman, marries her and they have a child. It’s told in a uniquely Google way — through the man’s search queries. While I’m not sure Parisian Love will win any awards for its Super Bowl ad, it’s certainly much better than the television ad Google created for Chrome, which failed to provide an obvious, coherent message or call to action. This ad, on the other hand, sends a clear message: no matter what stage of life you’re at, Google has all the information you need. And it sends this message through a clever narrative that highlights Google’s capabilities as a search engine. The big question, of course, is whether Google’s ad will resonate with the Super Bowl audience. Perhaps viewers will remember it because it’s understated and doesn’t represent typical Super Bowl fare. Or perhaps it will be seen as an out-of-place Super Bowl effort and soon forgotten as everyone discusses which ad was funniest or most rique. Either way, Google certainly won’t miss the $3m or so it spent, and as the dominant search engine in the United States, it isn’t relying on a Super Bowl ad to deliver marketshare. That said, it’s interesting that Google has gone from a company that has shunned traditional ads to one that is paying for them. Don’t expect this to end anytime soon. Google may be search’s 800-pound gorilla, but as with all major brands, there comes a point in time at which the brand has to be kept relevant. Traditional brand advertising isn’t an exercise in throwing money away; done well, it’s an effective way to maintain mindshare and keep your brand fresh. Additionally, as Google launches new products, it’s clearly discovered that it takes more than just the Google name to get the word out. That could be bad news for Google’s competitors. Microsoft, for instance, has invested a lot of money in traditional advertising to promote Bing, and it really hasn’t had to worry about competing with Google over the airwaves. While I think Google will need some more practice before it starts cranking out really good ads, warming up to traditional advertising could mark an important step in the company’s evolution as a global brand. Photo credit: SuperL via Flickr. In the battle to conquer real-time search, Google has drawn a line in the sand. The search giant today went live with its Social Search feature, which adds relevant results from users’ social graph. But one thing is noticeably absent from those results — Facebook content. 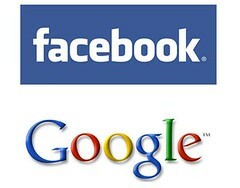 Because so much of Facebook’s information is private, Google cannot access it. For a social network trying to plant its flag as the curator of personal content online, that could be a problem. The research studies, expert opinions and post-mortems are rolling in. For some, the Super Bowl is the biggest game of the year. For others, it’s the biggest (and certainly the most expensive) television advertising event. And there’s never a shortage of gurus, pundits and wannabes eager to weigh in on how Super Bowl spots integrate with the online flavor du jour. It used to be Web sites, then search. This year, of course the talk is all about social media. Times are tough for the traditional news organizations. Their business models battered, many question the future viability of the investigative journalism these organizations have historically funded. Some suggest that nimble internet-based upstarts, possibly staffed with citizen journalists and volunteers, are the future. With lower overhead, these new media upstarts may be able to step in and fill the void. Or so the thinking goes.